Your child’s safety is our number one priority. 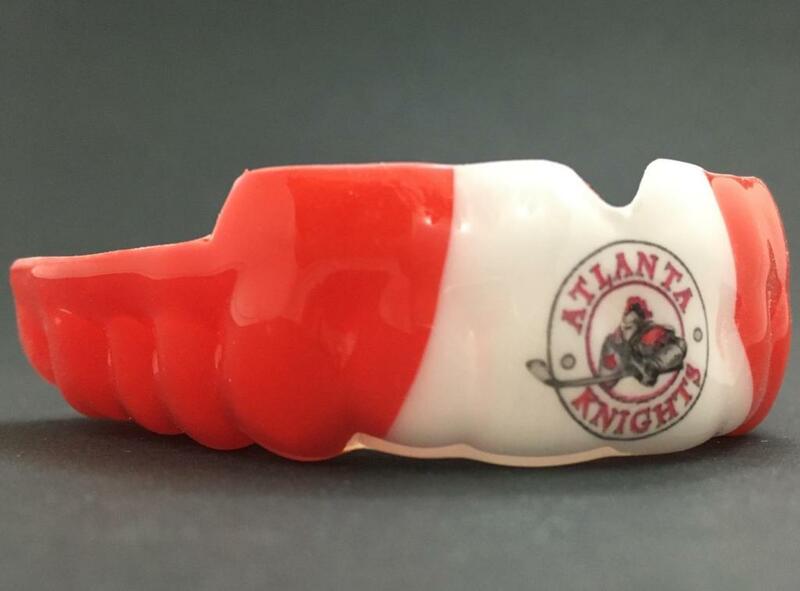 We are proud to offer a special rate with the bestselling custom mouthguard company in North America, Georgia's own, Impact Mouthguards. Impact Custom Mouthguards provide superior comfort and a secure fit that cannot be matched by standard “boil & bite” guards. The custom profile will allow your child to breathe easier and speak clearly. Created from an exact impression of the player’s mouth, they are guaranteed to fit any smile and even work with braces. At just $49, Impact Custom Mouthguards are protective and affordable. You can personalize them with team colors and logos, or awesome graphics like names, numbers or vampire fangs! Purchase your guard when Impact is on site at The Marietta Ice Center, Wednesday August 31st and you will receive Team Logo and Mouthguard Case for FREE! That saves you $15 off website pricing! To protect your child’s smile (and all that orthodontia you’ve been paying for!) visitwww.ImpactMouthguards.com or call (800) 203-1725 for personal service. Mouth guards for all sports!!! ©2019 Atlanta Kings / SportsEngine. All Rights Reserved.